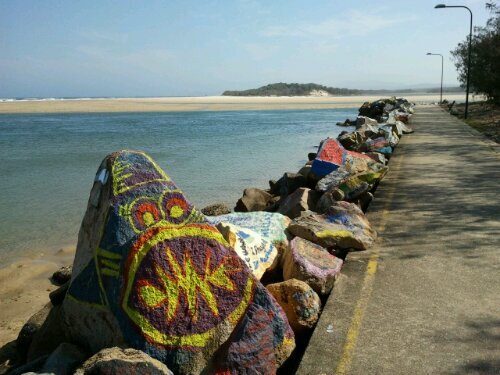 This entry was posted in Blog and tagged Australia, Nambucca Heads, Street Art. That looks quite tribal, does it have some Aboriginal link? I can almost hear that music…..really great find! Love it! I bet there are other gems all along the breakwater. Not at all what I was expecting when I saw the title, Great EllaDee, love it.